Ashley and George's winter wedding took place at the luxurious Bacara Resort & Spa in Santa Barbara. This sweet Bride and Groom had the most positive attitudes even though their original wedding plans fell through when a hurricane literally destroyed their previous venue! Ashley and George wouldn't let anything stand in the way of celebrating their love for one another surrounded by close family and friends. 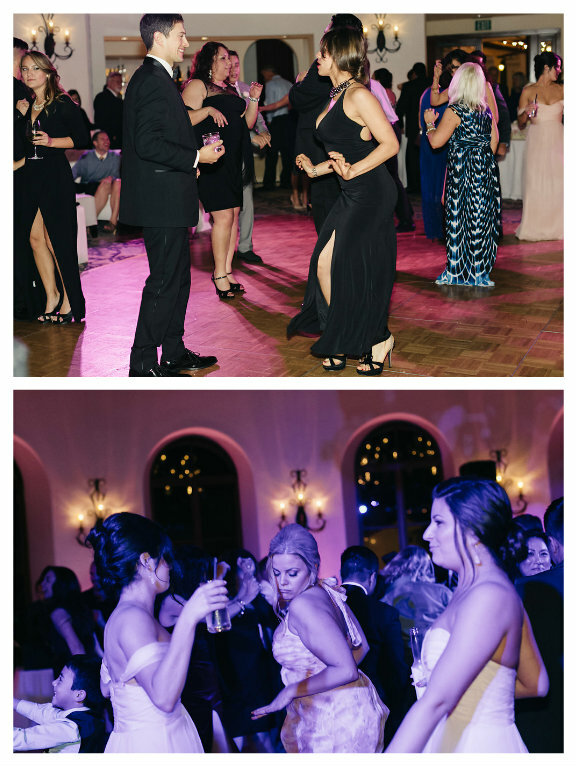 This was a destination wedding for all of their guests, which always makes for a great party atmosphere (everyone is on vacation)! Elevated Pulse provided romantic blush lighting and pin spots to enhance the elegant florals and decor. The Bride and Groom really trusted our judgement for song selections for the open dancing portion of the night and we rocked it! Thank you to Jana Williams for capturing it all and sharing the lovely photos with us!